More often than not, the new anime season has a surprise. It could be a highly anticipated show that ends up dropping the ball in unexpected ways; it could also be a show no one was paying much attention to that ended up being unexpectedly funny, thoughtful, or otherwise high quality. Last year had a number of the latter sort, such as Osomatsu-san and Maria the Virgin Witch. Winter 2016 has been going pretty much as expected – the shows everyone expected to be good are good, and the ones generally expected to be crap are. This season’s biggest surprise is Please Tell Me! Galko-chan, a short series made up of seven-minute episodes. 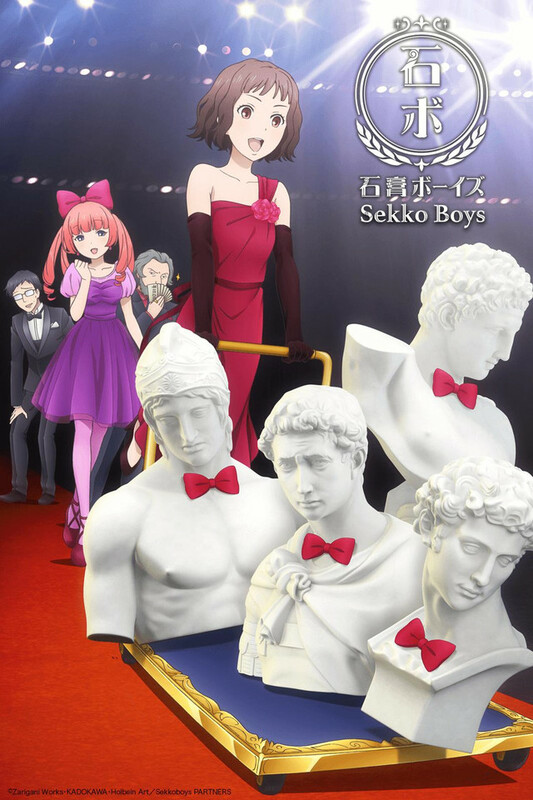 Based on the promotional art – specifically, the main character’s enormous breasts vacuum-packed into her cardigan – it looked to be an unremarkable fan service show. However, the positive word of mouth it was getting after the first episode intrigued me, and I decided to check it out despite my better judgment. I’m glad I did, because rather than perverse, male-oriented comedy, I got a charming series about three teenage girls frankly discussing their bodies without shying away from the grosser parts of the human experience.